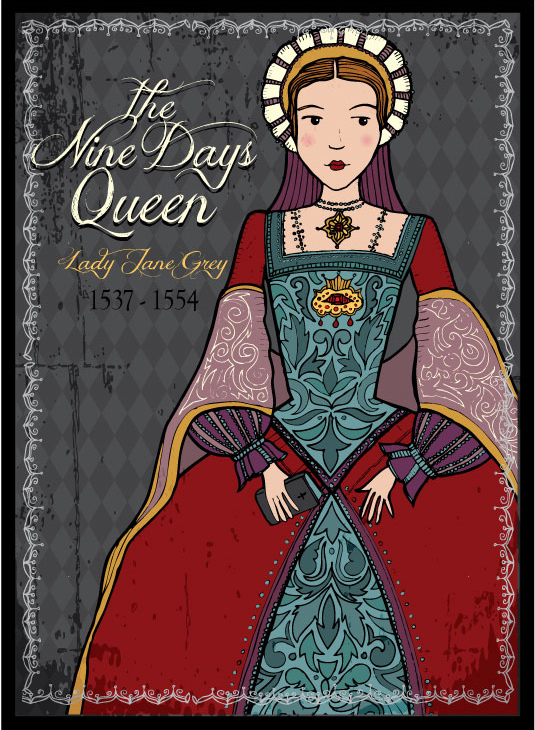 Say hello to the very unfortunate Lady Jane Grey- the Nine Days Queen. During her short reign, Jane lived in the Tower of London. She was imprisoned there when the Privy Council proclaimed Mary as Queen in 1553. Jane was convicted of high treason and eventually beheaded at the age of 17 for her (falsified) crimes. She is regarded as a Political Victim and Martyr. Her body was buried at the Chapel of St. Peter ad Vincula alongside Anne Boleyn- neither had a coffin and due to construction and relocation issues their bones lie scattered and mingled under a wall to the left of the alter. There is a plaque nearby on the floor noting the relocation of the bones.